Internet mogul Kim Dotcom launched his appeal Monday against extradition to face video piracy charges in the United States, arguing for his case in New Zealand to be live-streamed to ensure a fair hearing. The German national and founder of the Megaupload file-sharing service, who has permanent residency in New Zealand, faces up to 20 years in jail if convicted in the United States of piracy, which US authorities say cost copyright owners hundreds of millions of dollars. His lawyer Ron Mansfield told the court the case raised “unprecedented issues of public and international interest” and it would not be a fair hearing without live-streaming. Mansfield said conventional reporting was unlikely to cover all aspects of a case that has attracted global attention and could be “unbalanced”. Streaming had been successfully used in previous court cases and inquiries in New Zealand, he added. 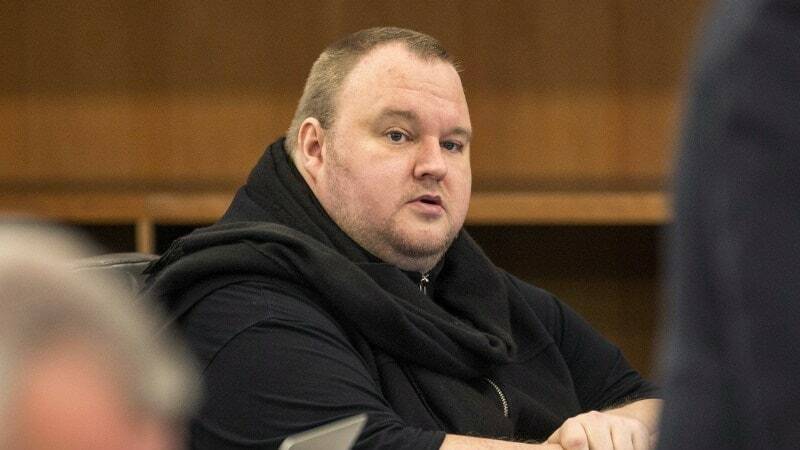 However, Judge Murray Gilbert delayed making an immediate decision, saying he wanted to give other media representatives a chance to consider Dotcom’s request and make submissions. It is nearly five years since the 41-year-old, a self-described “Internet freedom fighter”, was arrested in a dramatic police raid on his mansion near Auckland in January 2012 after the FBI shut down Megaupload’s servers, and the case could rumble on much longer. The extradition appeal is expected to run for eight weeks with Dotcom saying if he loses he will continue to use legal channels to fight extradition. In December last year, after a nine-week hearing, Judge Nevin Dawson found there was “overwhelming” evidence to support extradition of the 41-year-old and three other Megaupload founders. A lawyer for two of Dotcom’s co-accused – Mathias Ortmann and Bram van der Kolk – told the court Monday they were simply part of a group who “invented file storage”. He said the men have been falsely accused of wrongdoing by the United States government and unfairly subjected to “grossly-excessive search and seizure operations”. The prosecution has argued that Megaupload wilfully breached copyright by hosting illegally-created movie, music and software files. Dotcom has claimed Megaupload was a genuine file-sharing site that did its best to police copyright infringement but had 50 million daily users and could not control every aspect of their activity. At its peak, Megaupload was reported to be the 13th most visited site on the Internet, accounting for four percent of global web traffic. Dotcom, who denies any wrongdoing and has accused US authorities of pursuing a vendetta against him on behalf of politically influential Hollywood studios, has announced plans to relaunch his Megaupload empire in January, exactly five years after it was shut down. The FBI alleges Megaupload netted more than $175 million (roughly Rs. 1,175 crores) in criminal proceeds and cost copyright owners more than $500 million (roughly Rs. 3,358 crores) by offering pirated content.